Fanny Packs are Cooler: HfS in Women's Health Magazine! Women's Health Magazine says fanny packs are cooler. We can't help but agree. 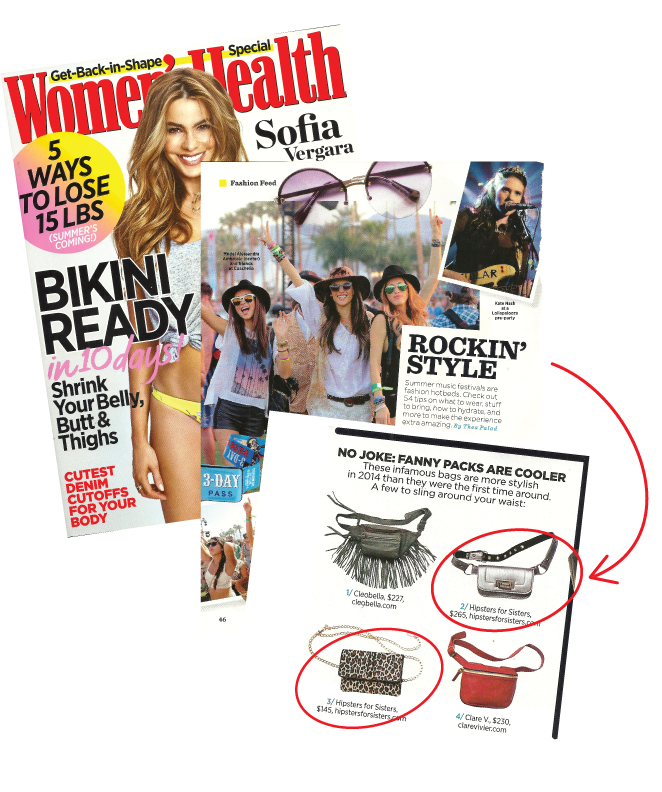 Thanks, Women's Health, for featuring our favorite Silver Cataluna and Leopard Flat belt bags in your 2014 summer festival survival guide!